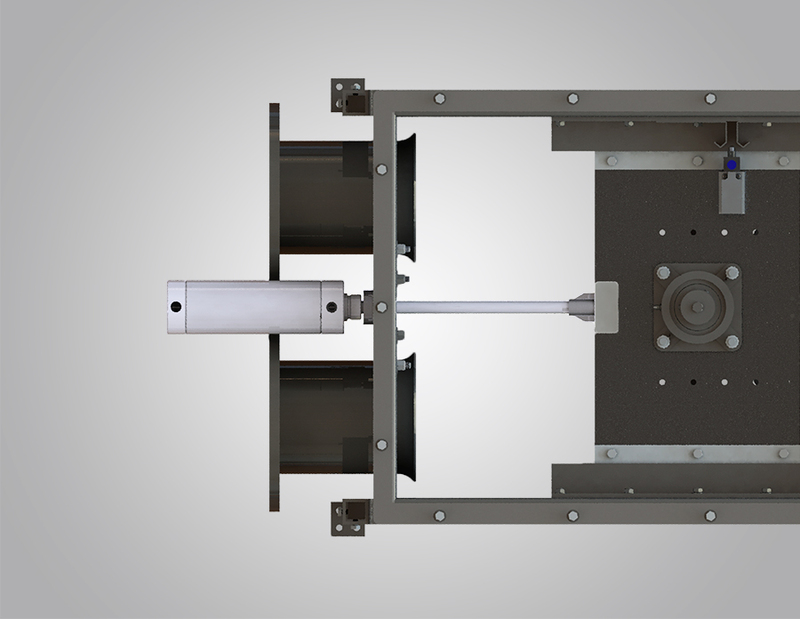 (Chicago, IL) – MPE announces its Pneumatic Tensioner for Chain-Vey® systems turning what used to be a maintenance procedure into an automated adjustment. Much like a spring, the Pneumatic Tensioner provides consistent tension inside the conveyor. The Pneumatic Tensioner excels though when the spring cannot such as applications where varying product types and densities are conveyed through the same system. “A conveyor may be properly tensioned at the beginning of a run, but heavier product can require more tension force on start up,” noted John Eiting, Director of Sales for Chain-Vey. “We wanted to offer a solution that made this adjustment on-the-fly, without human intervention,” he added. The Pneumatic Tensioner keeps tension the same regardless of temperature and system load, can be quickly set and checked, and will maintain consistent tension over a long period of time. It has already been deployed in numerous systems across the U.S. with overwhelming success and is available worldwide.